Mac’s regularly whets their fans appetite by releasing a new craft beers. So when they launched Miss Conduct – a dry-hopped pilsener – we knew we had to do something different to get them excited about trying it. We ran two promotions leveraging the roller derby artwork on the Miss Conduct bottle. A Facebook campaign got things rolling. With an awareness objective it encouraging fans to discover their derby name for the chance to win a personalised derby jacket. This first phase drove awareness for the new launch and created an engaging way to grow the Mac’s database. A second on-premise activation drove sales. 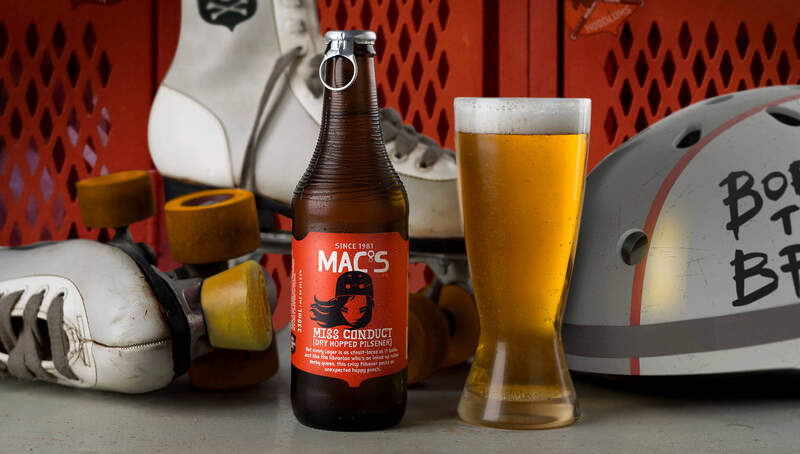 Punters who ordered a Miss Conduct at a Mac’s Brew Bar were handed a coaster with instructions to unlock a prize through Augmented Reality (AR). People were prompted to hold their phone up to the coaster, which unlocked a roller skate that raced around the table. This entertained them and worked as a loading screen while their entry was checked. 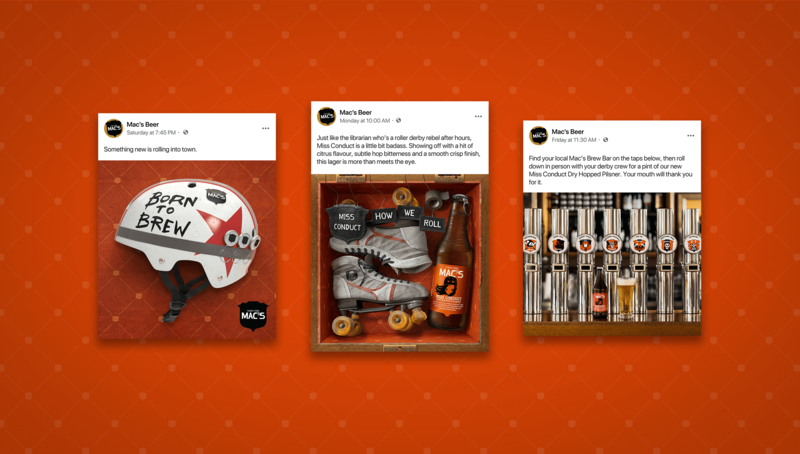 This fun, interactive piece of tech drew a big response from the public and helped drive sales of the new beer in the Mac’s family. Digital shopper marketing case study, FMCG range extension, interactive in-store promotion.